The Glencairn Trail Run took place on Glencairn Farm in the Underberg area of Kwa-Zulu Natal over the weekend of 12-14 October, and despite rainy conditions on the first day, runners enjoyed the southern Drakensberg trails, a weekend away camping, and for some, a party with live entertainment on the Saturday night. 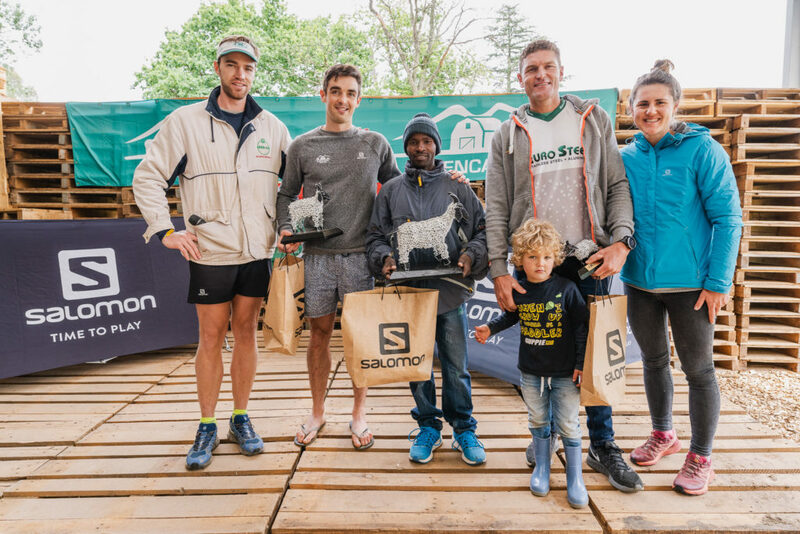 Underberg local Phillip Shezi took the Men’s title in what is known as the Ram Run, which consists of a 21 kilometre stage on the Saturday and an 18 kilometre on the Sunday, in a GC time of 2:44:37. Phillip came third in last year’s Sani Stagger and says he is looking to win the 2018 event in November. Megan Liebetrau from Umhlanga won the Ram Run Women’s race with a GC time of 3:15:51, Harriet Kingston came second in 3:28:06 and Michelle de Montille was third with 3:30:23. What makes Glencairn Trail Run so accessible to families and groups of friends, is that there is a Lamb Run, with distances of 12 kilometres on the Saturday and 8 kilometres on the Sunday. Children as young as 8 finished the Lamb Run, and families camping together had some family members running and others enjoying the farm while waiting for the runners to finish. In the Men’s Lamb Run, Arnold Scot came first with a GC time of 1:40:27, Ross Palframan came second (1:41:19) and Jonty Smith came third (1:46:38). 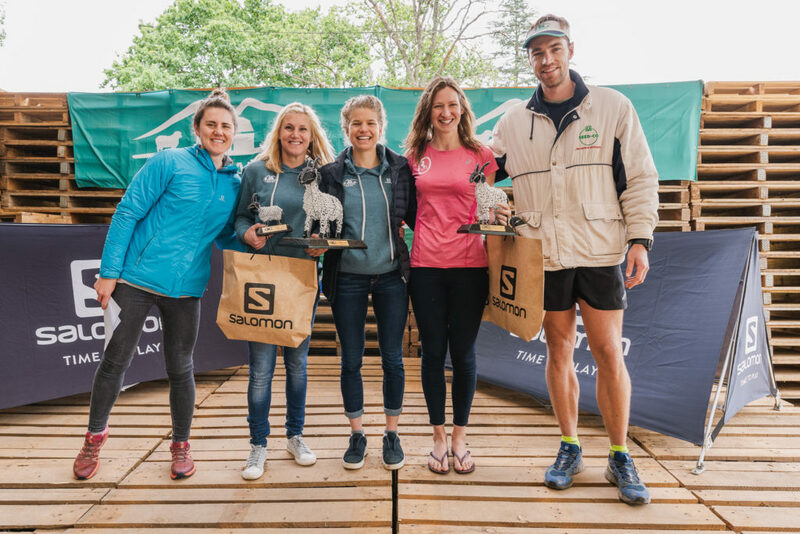 In the Women’s Lamb Run, Abigail Peters was first (1:55:21), Sarah Bingham was second (2:06:29) and Minette van den Berg was third (2:09:04). The Glencairn Trail Run was established in 2016 with 125 runners taking part, and it has grown into one of the most popular trail running stage races in KZN with 750 runners this year enjoying a fully catered weekend camping on the farm. Glencairn Farm is the home of the sani2c mountain bike stage race that takes place in May each year, and with the race village on the farm catering for 4200 riders over 5 days of sani2c, the farm has developed infrastructure such as a huge shed for dining, a comfortable chill zone and permanent toilets and hot showers. 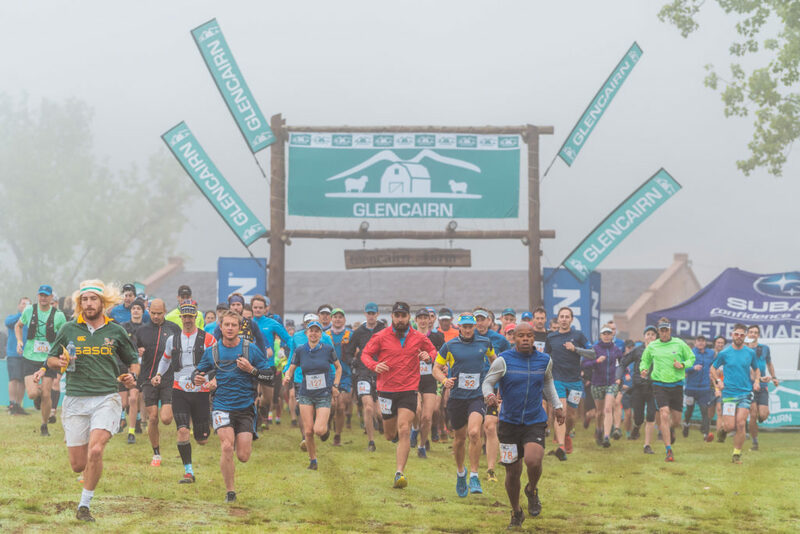 This is definitely an event to diarise for next year – watch Glencairn Trail Run social media channels for an announcement when entries open, as this year’s event was sold out with a long waiting list.